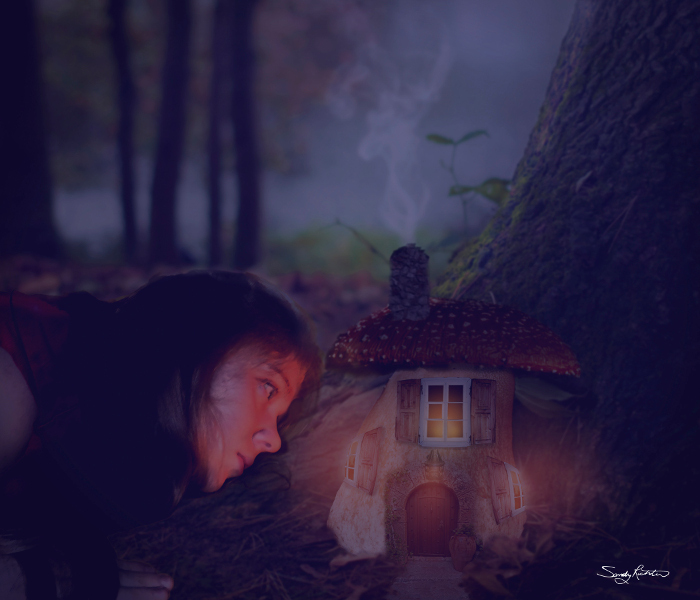 This piece is a fantasy digital photo composition depicting a girl who is spying on the inhabitants of this little dwelling found in the woods. The scene lit only by the full moons glow and the light emanating from the tiny house it makes one wonder. What does she see?